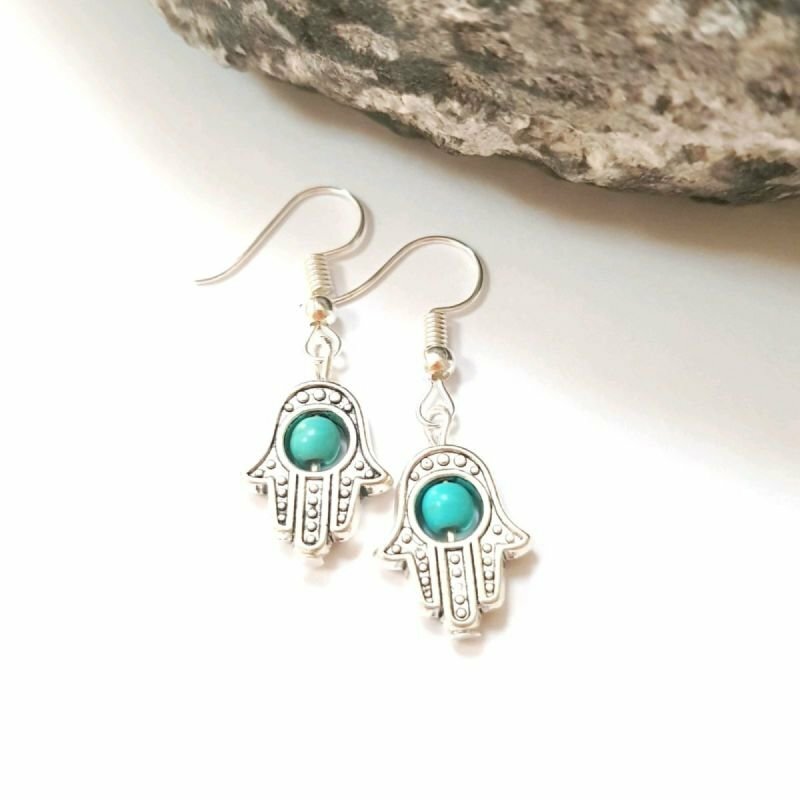 This are a pair of really pretty hamsa hand earrings, they are silver toned and I have added little turquoise beads to the centre and I have finished them with 925 silver hypoallergenic hooks. The hamsa hand is an ancient talisman that symbolises feminine power. 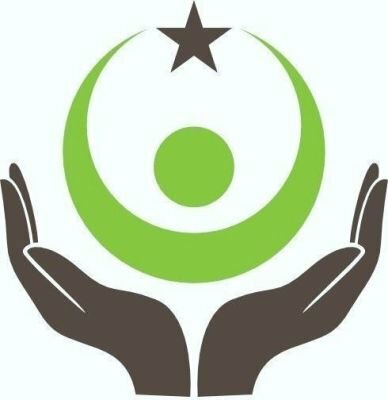 The hand is worn as a defense against negative energy. This talisman paired with turquoise is a match made in heaven! Turquoise is a strengthening stone, good for exhaustion, depression, or panic attacks, it dispels negative energy, stabilizes mood swings and instills inner calm.